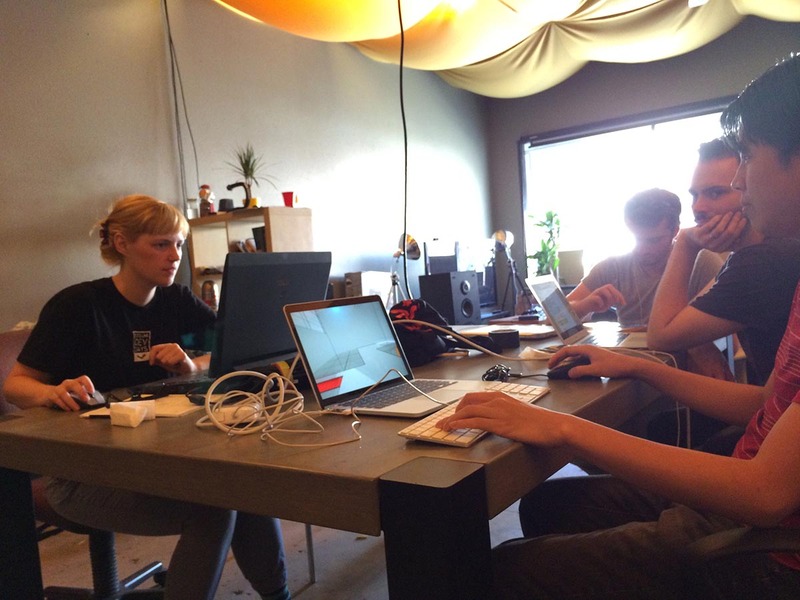 Whew… the devlog is finally all caught up! 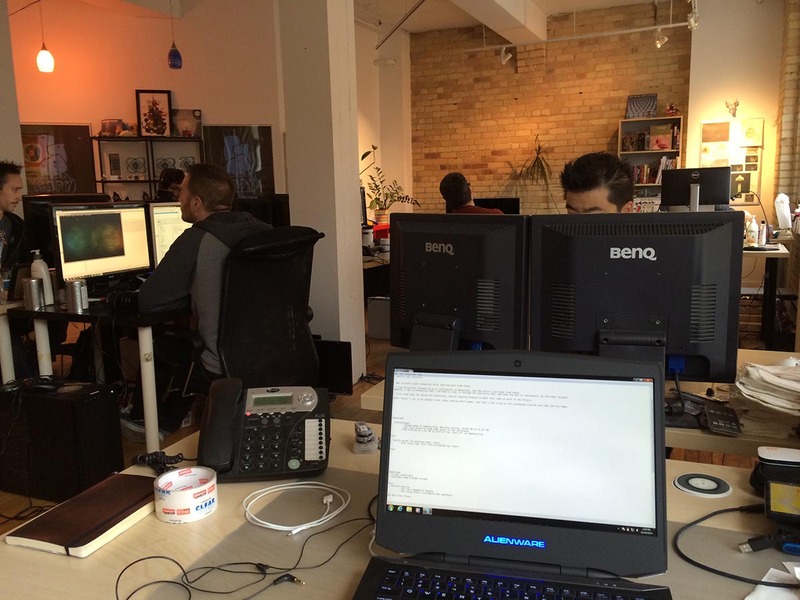 I’ve spent much of the last three days writing in this devlog. So much so that I think this activity deserves its own devlog post! Anyway, just wanted to take a moment to thank you all for reading the devlog. It takes a lot of time for me to keep this updated, but I do enjoy writing here, and I hope the information is helpful to you all. Ultimately, it’s really more for myself. It’s hard to feel like I’m making progress on the game on a day-to-day basis, as the project is so massive. I often feel like I’m just making tiny changes here and there that don’t seem to have an impact. However, those changes do add up. And coming here, seeing the devlog, really makes those changes noticeable. I’ll sometimes go back to the first page of the devlog and look at the early posts, just to see how far the game has come. I mean, just look at that! The difference is night and day! What’s even crazier is that at one point, I actually thought the first image looked good! Now that I’m done with the whirlwind tour of shows, I’m going to go stay put for a little while, and get back to working on the game. 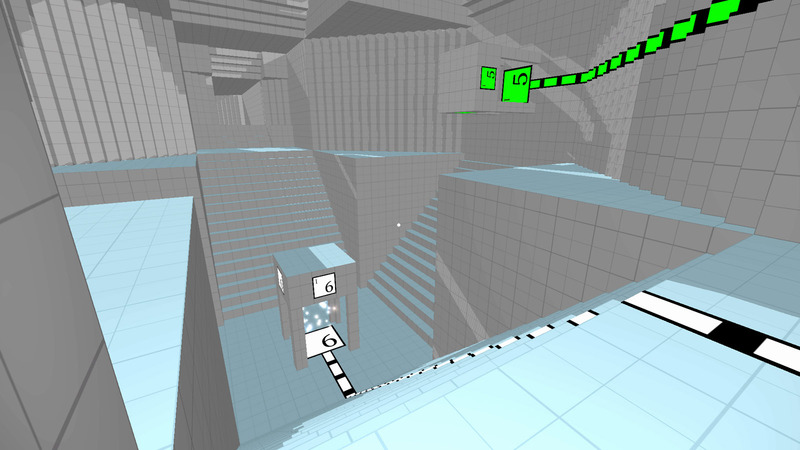 Expect more normal posts here about level design, optimization, and shaders! Sunday was the same as Saturday, with two sessions, the first from 10 AM to 2:30 PM, and the second from 3 PM to 7:30 PM. I arrived around 9:30 AM to set up. The day before was a pretty long day – I was there from 9 AM to to Midnight, so I was feeling a little exhausted. But they had coffee and pastries, so that gave the day a good start. I had a great showing. 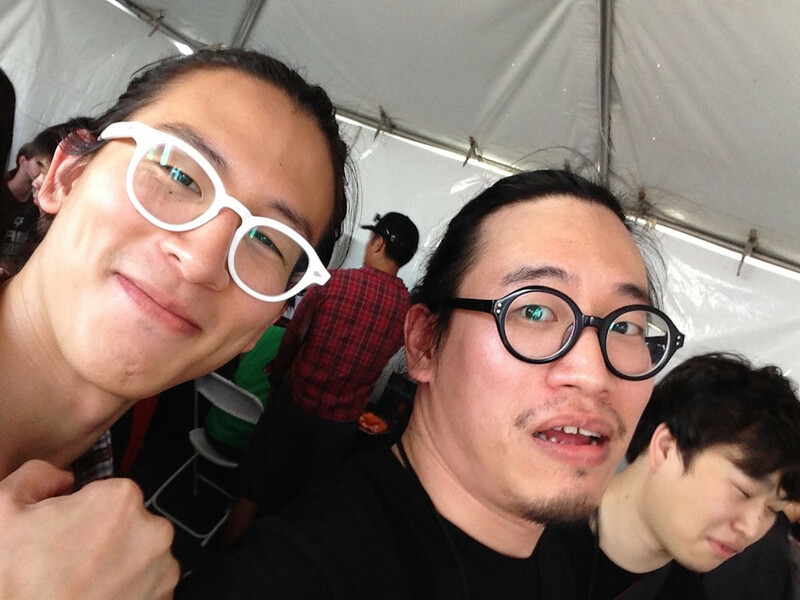 One of the highlights was that Jonathan Mak, the creator of Everyday Shooter and Sound Shapes, came by to play the game and gave me a lot of really good feedback. After the second session wrapped up and the booths were cleaned up, there was a small closing reception to celebrate. 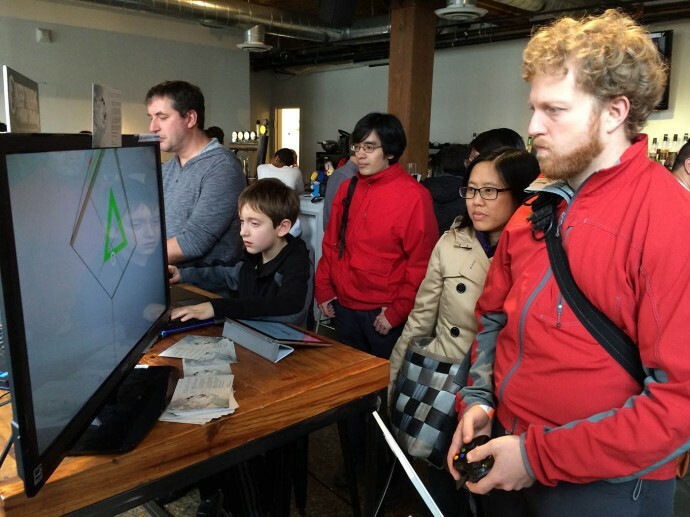 There was also an N++ tournament. I participated in it, but didn’t win (I’m really, really bad a platformers). My friend Diego won a t-shirt. Afterwards, a group of around 10 of us exhibitors decided to go get some food. We ended up at a pub nearby. This is where I was introduced to the wonderful game of ‘Hing’, which was actually invented by Nico Disseldorp of Push Me Pull You and Ian Snyderof The Floor Is Jelly. 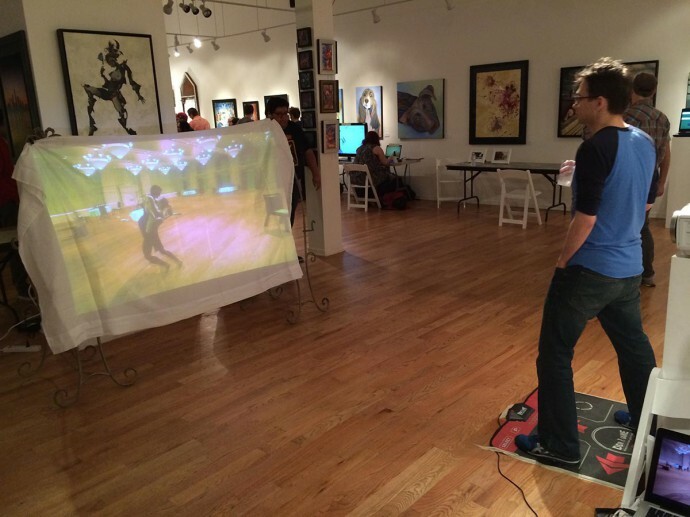 Apparently this was invented during the Sony party at IndieCade. Clearly I was sitting at the wrong table at that event. Anyway, what is Hing and how do you play it? Hing is a game that’s played by 3 people. You need three coins. At the start, each person takes a coin, shakes it around, and then places it flat on their forehead, without knowing which side is facing forward. So now each player sees which face of the coin is facing up for the other two players, but not him or herself. Let’s say Player 1 gets heads, Player 2 gets heads, and Player 3 gets tails. Player 1 and 2 can win by shaking each other’s hands. Player 3 wins by shaking hands with either Player 1 or 2. If all three players have the same face, then if two people shake hands, they lose. In any case, you have to try to figure out which face the coin on your forehead is facing, and who to shake hands with, while trying to not let the others win. It was a lot of fun. I might actually have gotten the rules wrong here, but I think it’s a lot easier to explain in person and when you’re actually playing. The next day, after Gamercamp, I went over to the Capybara office, which was just across the street from Hotel Ocho, and hung out there for a few hours. It was really cool to talk to some of the people working there, and very inspiring to see what a larger indie studio is like. 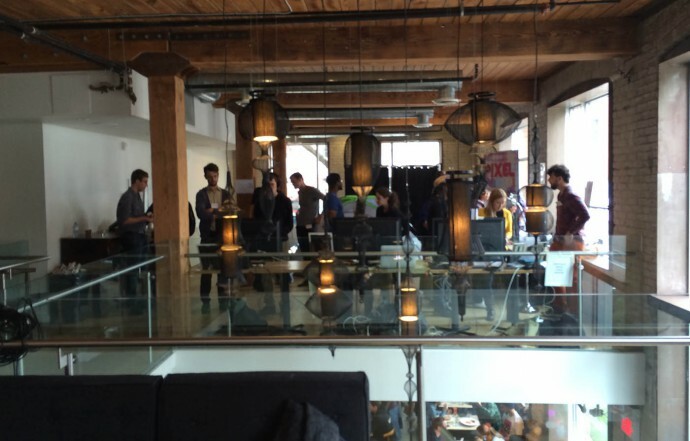 Gamercamp was definitely one of the coolest events I got to be a part of this year. Even though it was my first time there, I’m sad that it won’t be around next year, but also excited to see what the organizers do next, and what emerges from the Toronto game scene to fill its place. I’m incredibly honored that Relativity was chosen to be a part of the last run. Gamercamp did a lot of things differently from other festivals and conventions, and some of those worked incredibly well. It definitely offered the best setting for actually playing games. 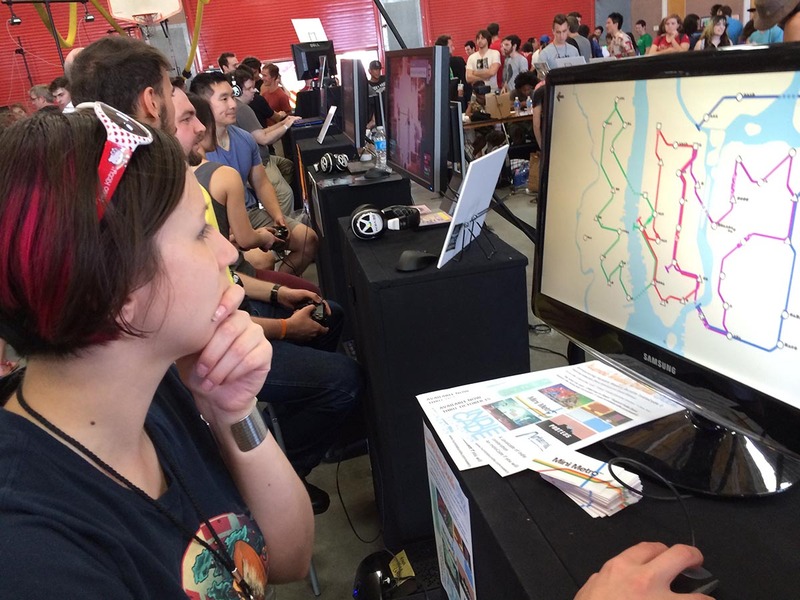 It didn’t cram the space with games, so people were not overwhelmed with the selection, but could take their time to enjoy each game and still get to see everything. The hotel room setup worked extremely well, and I’d love to see other festivals and conventions adopt similar arrangements. Saturday was the second day of Gamercamp and the first day of the pop-up arcade, which was more like a festival, as opposed to a conference. It opened to the public at 10 AM, so I arrived just a little before 9 AM to set up. Coffee and pastries were provided, which was really nice. 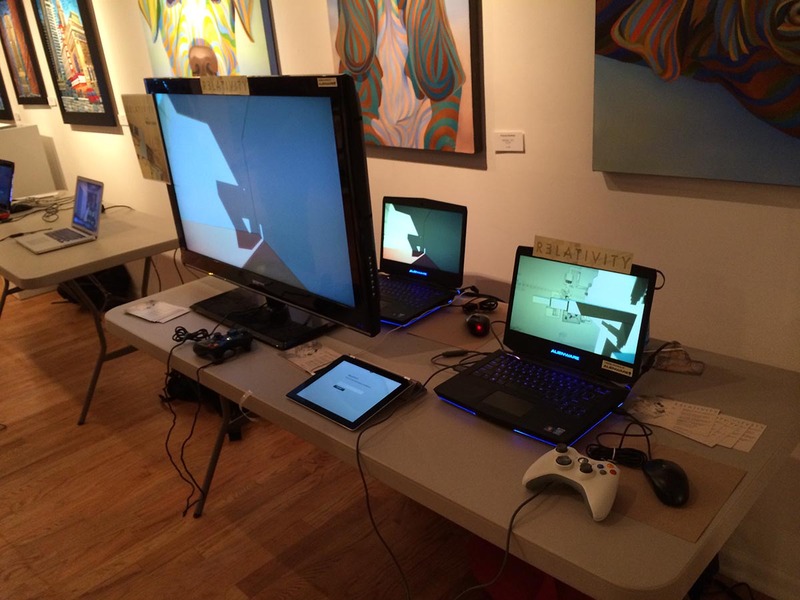 I had three laptops running the game, one of which was hooked up to the large screen TV. The TV setup could only be played with an XBox controller, while the other two had both keyboard + mouse and XBox controllers. One issue that made the setup a bit awkward is that the UI for the game doesn’t support controller yet, so to restart the game on the TV, I would have to go behind the table to operate the laptop. As you can see, Relativity is set up on the left hand side, on the large table across from the bar. 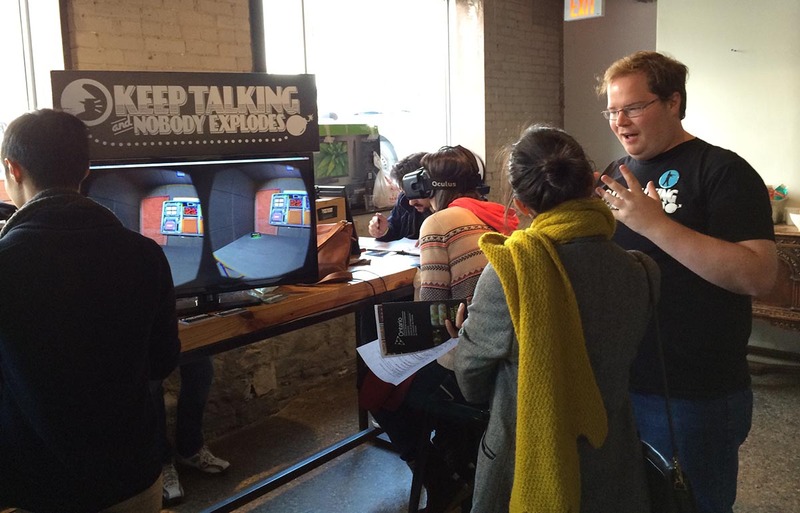 I shared the table with “Keep Talking and Nobody Explodes”, which was a festival favorite. On the right, it was a dining area, with tables and chairs where people could sit down and eat. There were also a couple of games on display there. The way pop-up arcade worked was there were two sessions. The first was from 10:00 am to 2:30 pm, and the second session went from 3:00 pm to 7:30 pm. In between, everyone who was not a developer or organizer had to leave Gamercamp. This gave developers a break, and also helped to manage crowd density. 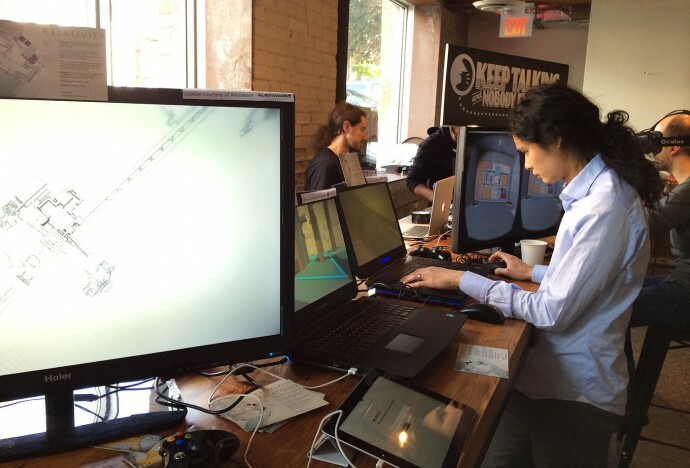 It was never too crowded during Gamercamp, and with the three laptop set up, it meant that people didn’t have to wait in line to play the game, and also there was almost always someone playing. 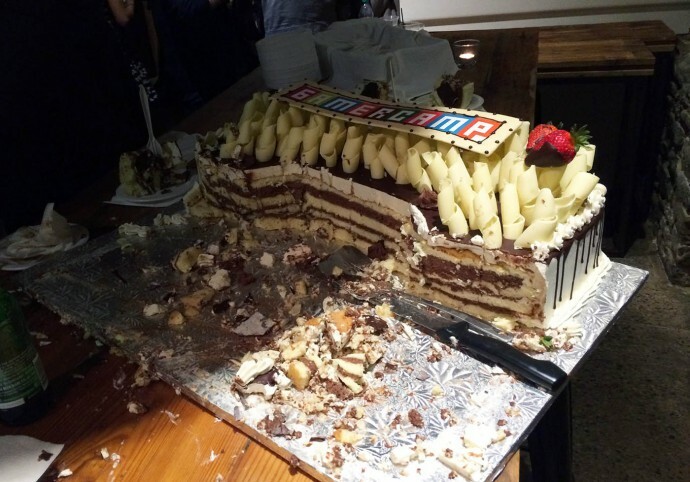 Some people even managed to finish the demo! The second floor of the hotel was also an open lobby-type area. There wasn’t a bar or dining area, but there were many more games. All of these games were part of the offical Gamercamp selection. 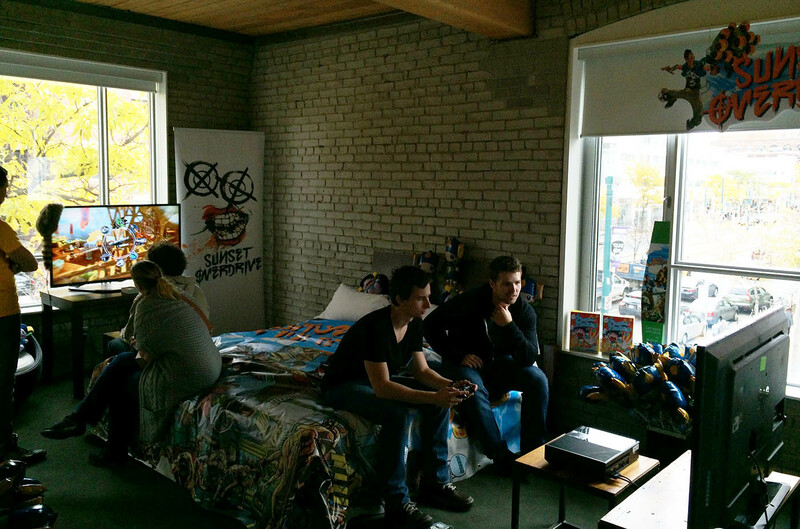 The third and fourth floor had a really cool setup, as they were where the hotel rooms were. The third floor was XBox games while the fourth floor was PlayStation games. Inside each room, one or two games were being shown. Out of all the conferences and festivals I’ve been to, this was by far the best way to show a game. Each game got the attention it deserved. The lighting was right, it was comfortable and intimate, and the sound didn’t travel between the rooms. 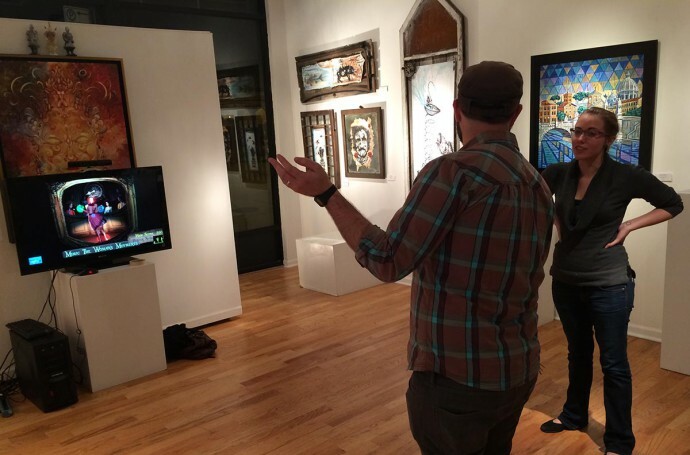 So you could have people playing a local multiplayer game like Nidhogg in one room, and be shouting and screaming, then walk down the hallway and see someone playing Night In The Woods and just hear the sound in that game. I’d love to see more festivals adopt such a setup. After the day sessions ended, it was time for Night Arcade! 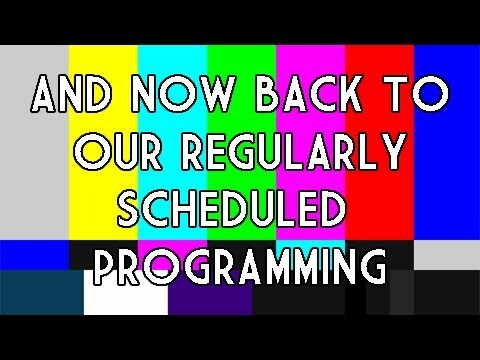 This was a special session on Saturday night starting at 8 PM. It was for age 19 and older, so it felt much more like a party. 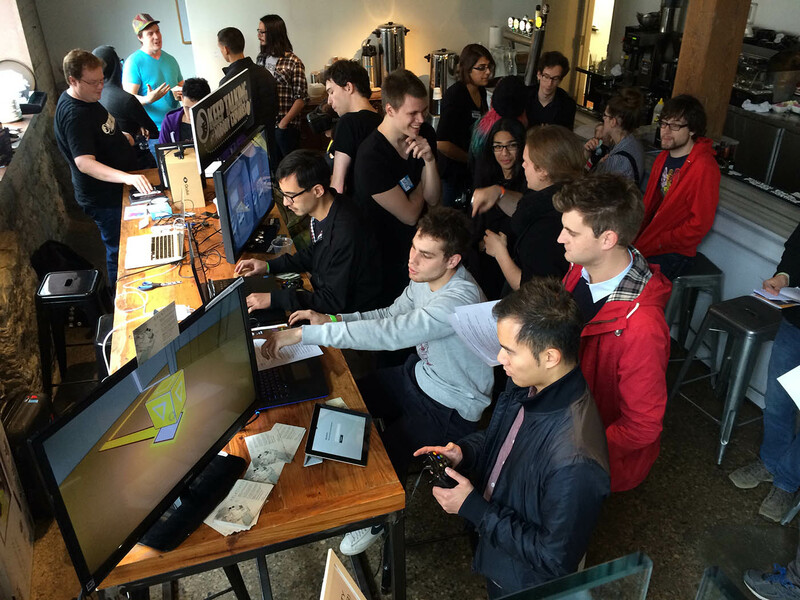 The local multiplayer games were especially popular during this session. After IndieCade was over, I had only one day in Chicago before I had to travel again, this time to Toronto for Gamercamp. 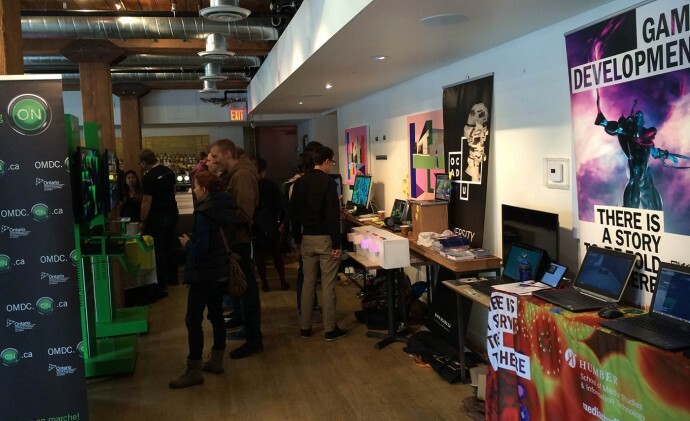 Gamercamp is an annual festival celebrating games that takes place in Toronto. It was started six years ago, and sadly, this year was its very last run. There was an online application to submit a game to Gamercamp, with a due date on September 2nd. I submitted the game, and was informed via email on September 15th. I remember the exact moment I read the message, because I was at the airport in Toronto, standing in line to board my flight to Tokyo for the Tokyo Game Show, when I got the news. It was really uplifting for me to hear that Relativity had been selected, as only 5 days prior, I had gotten my rejection to IndieCade (see, don’t give up! you have to keep submitting). 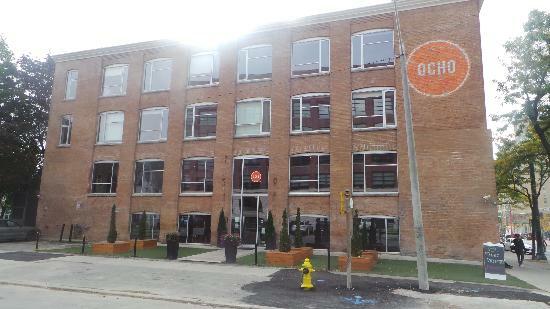 Gamercamp takes place at Hotel Ocho, a four-story hotel located in downtown Toronto. 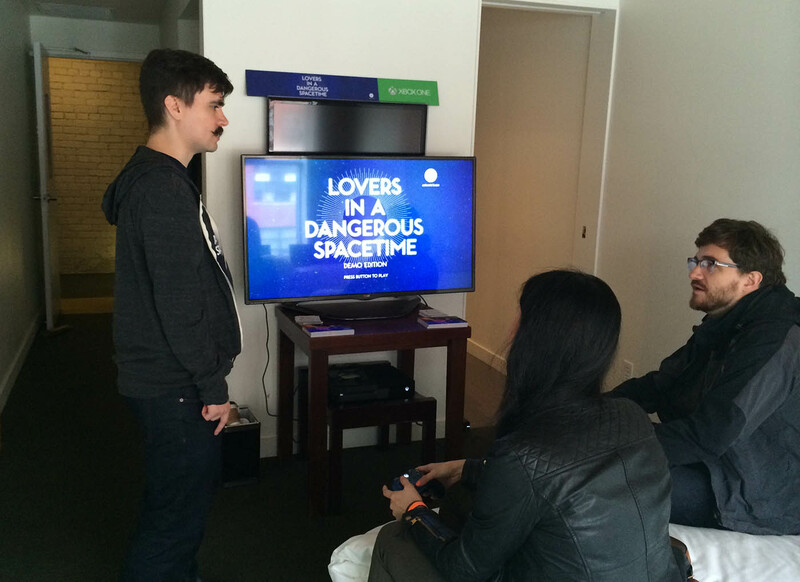 Gamercamp actually rents out the entire hotel for the duration of the festival, as games are shown on every level. Prior to Gamercamp started, the organizers sent out a manual to all the exhibitors. 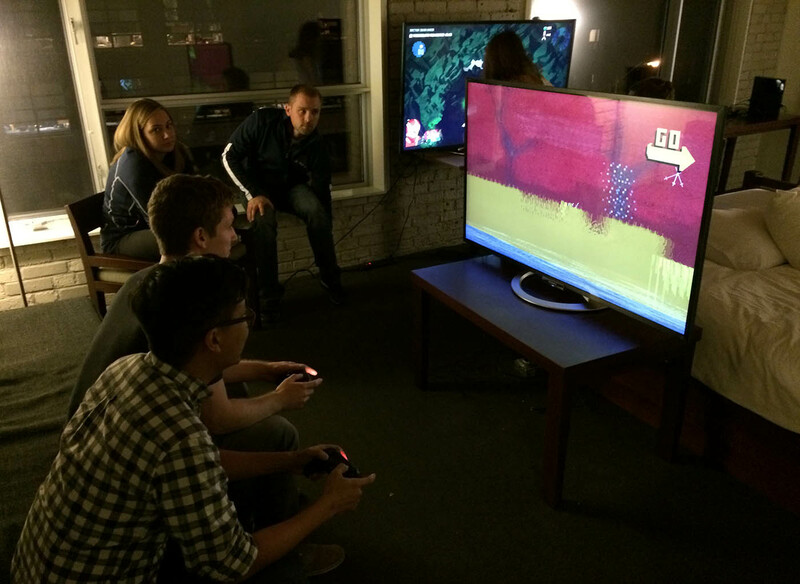 I was told that I would have a 4′ table to demo the game on, and large screen TV would be provided. From past shows, I know that having multiple computers works best for a game like Relativity. A lot of a local multiplayer games work best with a single TV, since you can have multiple people playing at the same time. However, with a single player game, you can really only have one person playing at a time. On average, people seem to play the game for about 10 – 15 minutes at convention settings. I’ve noticed that when people have others waiting in line behind them, to start to get self-conscious, and will constantly be asking other people if they want to have a go. This usually happens before they’ve gotten to the good parts, and they haven’t gotten the best impression of the game they could have. To avoid this, I decided I would have multiple computers at Gamercamp. 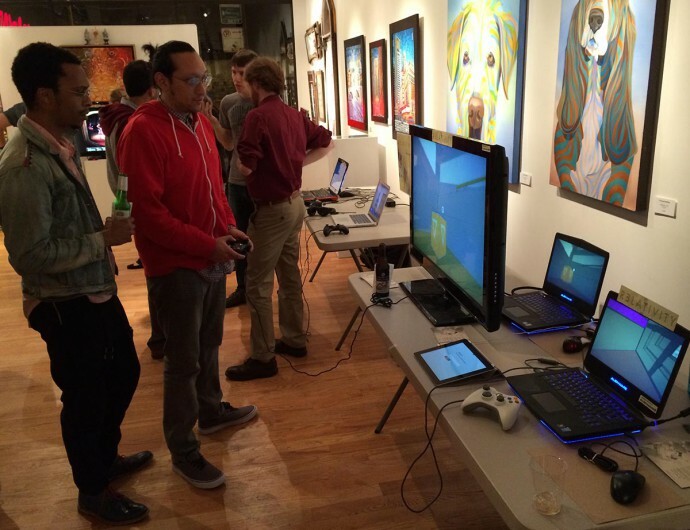 From having shown at Indie MEGABOOTH back at PAX East, I knew that companies like Dell and Intel were often quite interested in providing sponsorship to indie developers. I reached out to Alienware to ask if they were interested in sponsoring the show in Gamercamp by providing me with laptops. They were more than happy to do so, and after a discussion on the phone, they sent me a loaner request form. I filled this out, requesting two 14″ Alienware laptops, and they mailed them out to me. I did this while I was in LA for IndieCade, and the laptops arrived just in time in Chicago for me to bring them with me to Toronto. I also reached out to some Toronto-based friends, to see if any of them could lend me a laptop for the duration of Gamercamp. 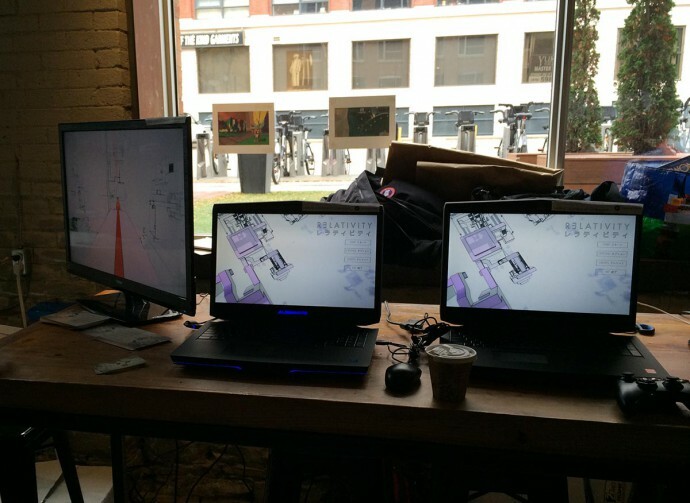 A friend who works at interaction design studio Glabacore responded, and told me that the studio was able to lend me two 17″ Alienware laptops (these things are pretty sweet, but weigh a ton. They’re pretty much portable desktops). 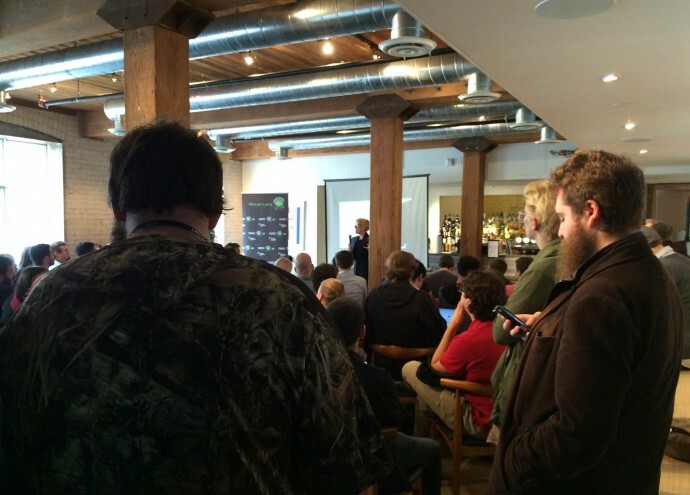 The first day of Gamercamp was Friday, October 17th. This was a conference format, different from the pop-up arcade, which took place on Saturday and Sunday. There was a small section showing games, but most of the main selections were not shown. It was geared towards industry people, and the day consisted primarily of talks on game development topics. I arrived at Gamercamp just a little bit before lunch, and was able to catch a talk from PlayStation about what it’s like to work with them. The way the talks were set up was there were two sessions simultaneously. One on the first floor and one on the second floor. The acoustics of the space weren’t so great for talks, as it was quite open, so the sounds between the two talks mixed a bit. However, it wasn’t too bad, and you could still hear the speaker. Lunch was buffet-style and was provided as part of the event. After lunch, I went to a talk by Kan Gao, the creator of To The Moon. I was quite excited about this because I had played To The Moon one afternoon several months ago. I had picked it up at some point via a bundle, and it sat in my Steam library untouched. I probably would not have played it, had it not been for recommendations from a few sources. Normally, I’m not a big fan of narrative-driven games, but a lot of the people played To The Moon found it incredibly moving, so I decided to give it a go. Playing To The Moon gave me a lot to think about. Relativity is heavily mechanics driven, and most of the games I play are centered around a set of core mechanics. 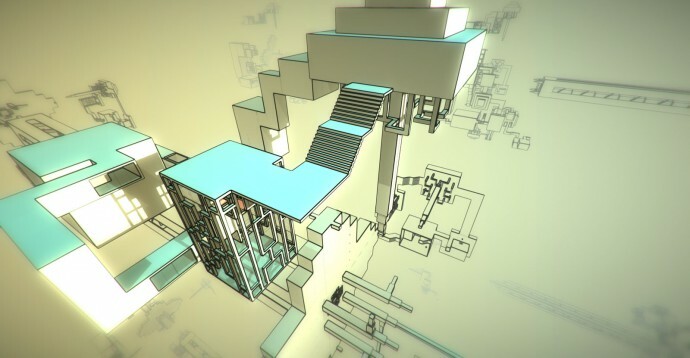 As a designer, I sort of subscribe to Jonathan Blow’s philosophy of games as an exploration of “truth” through the mechanic. However, To The Moon made me look at narrative-driven games in a new way. I won’t go into too much detail about it here, but I’ll just say that I really appreciated what the game did. Anyway, Kan’s talk was titled “Making Use Of Advantages In Indie Game Creation”. 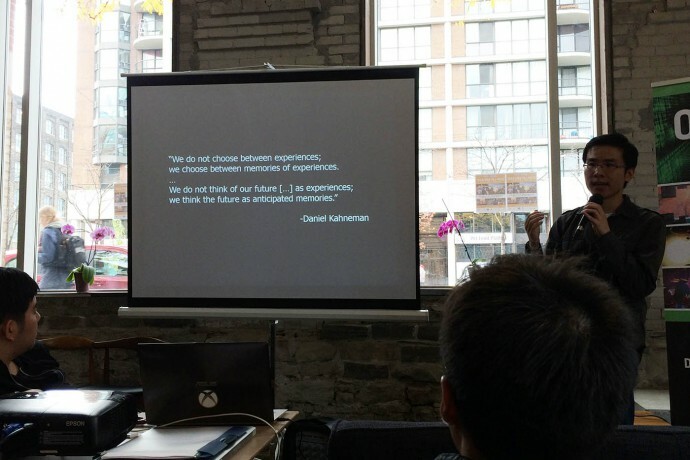 “We do not choose between experiences; we choose between memories of experiences. Unless you have photographic memory, you can’t remember an entire game from start to finish. It’s important when designing to think about what are the moments that leave an impression on people, because those are the moments that will stay with people, and those are the stuff that people will talk about when talking about your game. What kind of memories do I want Relativity to leave players with? Later on, I went to a talk by Lyndsey Gallant of XMG Studio, titled “Simple Guidelines for Making Awesome Game Art”. It was a lot about creating visual hierarchy and how use colors, shapes, and contrast to guide the players. The conference ended at 5 PM. I went to dinner with a bunch of game developers who were at the conference. Afterwards, we returned to Gamercamp for the opening party, which started at 8 PM. As it was the final Gamercamp this year, there was a surprise element at the opening party to honor Jamie Woo, one of the co-founders. Here’s Jim McGinley, one of the founders of T.O. Jam (Toronto Game Jam) talking about the impact of Gamercamp on the Toronto game scene. 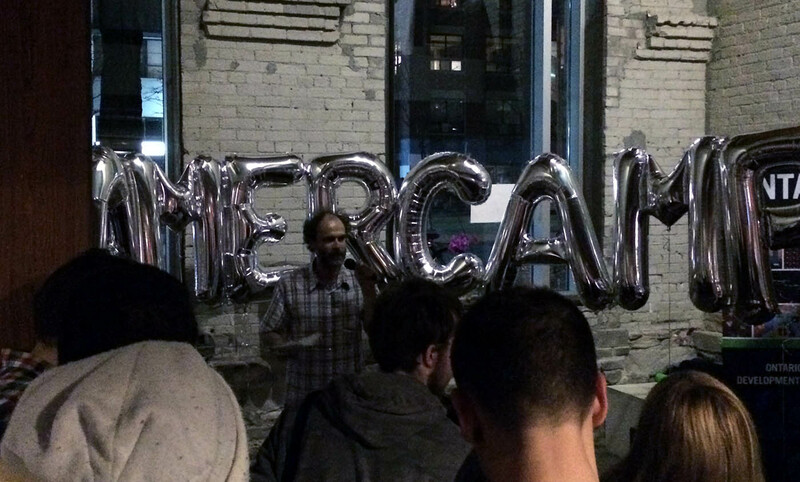 Jaime himself also gave a brief speech, thanking everyone for being a part of Gamercamp. It was definitely a very emotional moment for everyone in the room. Even though it was only my first time at Gamercamp, it had been around for six years. 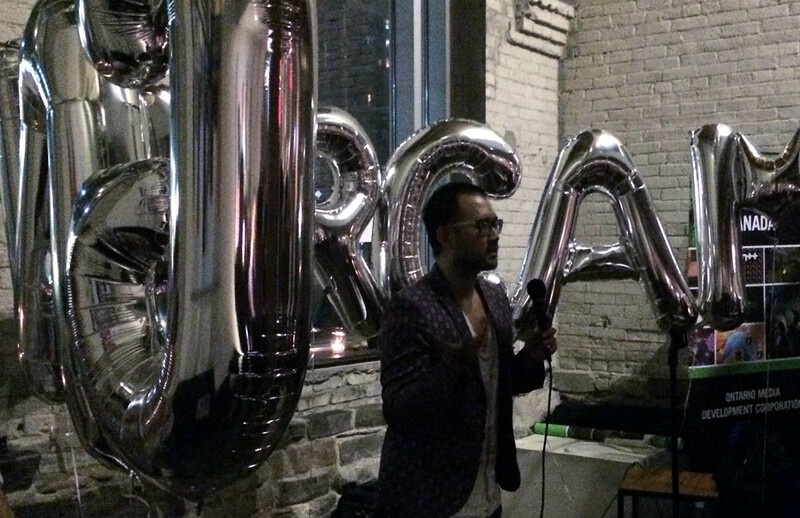 For some people, it was around for as long as they were involved with indie games in Toronto, so it felt very much like a pillar in the community. It was a pretty amazing experience for me to be a part of. 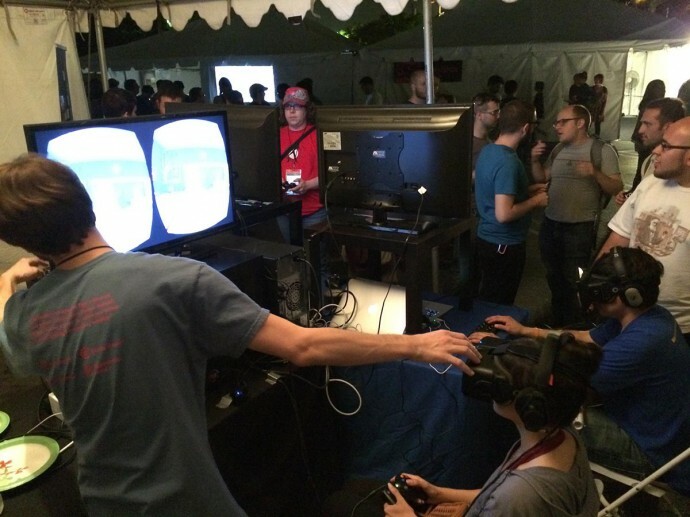 Sunday was the final day of IndieCade. I had seen most of the games at this point, so just took it easy and revisited a few of my favorites. Some of the games I really enjoyed at the Fire Station were Nova-111, Mini Metro, Drei, and Gemini. So, was the trip worth it? Did I find what I was looking for? Here’s the long answer: Yes, I got a lot of feedback on Relativity, and was able to have many in depth discussions about my game’s mechanics and aesthetics with other developers. 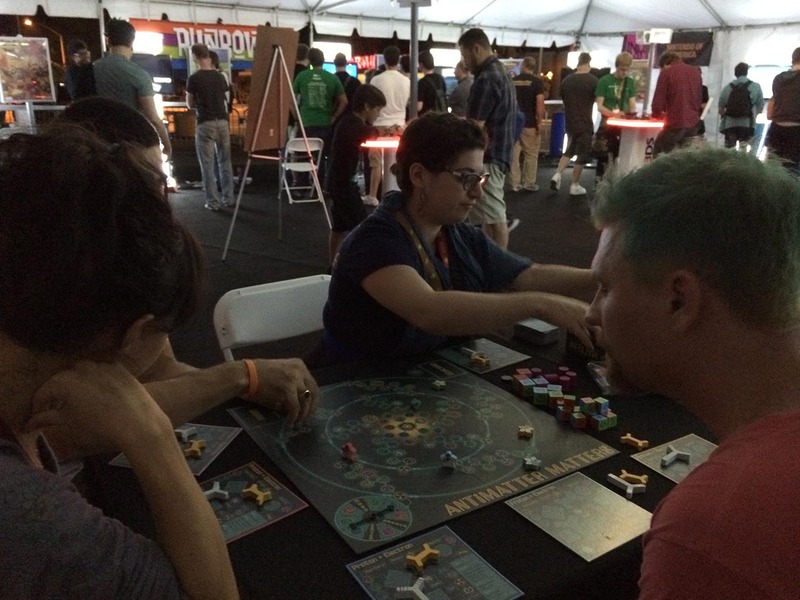 The best part is that because I showed the game on the first day of IndieCade at IndieXchange, for that rest of the festival, I could continue to discuss the game in detail with people who had experienced it. Plus, they would say things like “I’ve been thinking about that one issue…” and offer me a bunch of suggestions and advice. There were also a lot of opportunities to socialize, and because all of IndieCade takes place within several blocks in Culver City, you will keep running into people throughout the duration of the festival. You meet people for the first time on day 1, and by day 4, they feel like best friends. It’s really awesome in this sense. 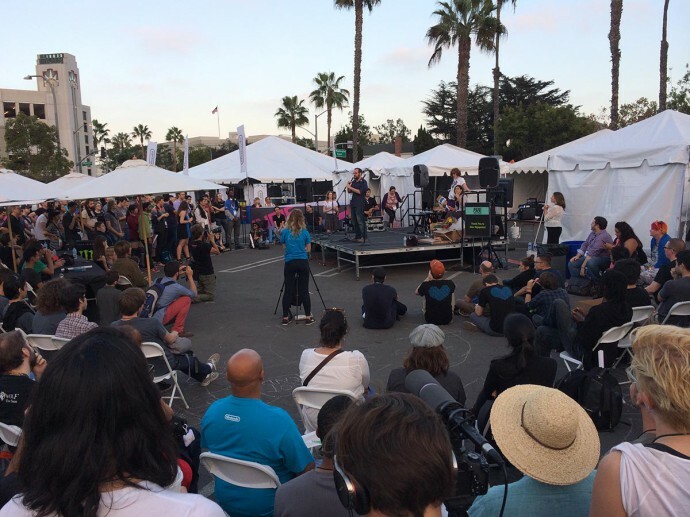 In fact, to me, I think what’s best about IndieCade is actually not the game playing experience, but being able to meet so many developers. This is not a statement about the selection of games at IndieCade. On the contrary, I think they do a fine job with selecting the games. However, I think the format in which the games are presented (outdoors, in tents, with multiple categories), is actually not ideal for the experience of actually playing games, especially in contrast to the setup at other conferences and festivals. I was discussing this topic with a fellow developer I met, and he pointed out how during IndieCade, he only really got to play around 10 or so games. Instead, most of his time was spent talking to people and hanging out. 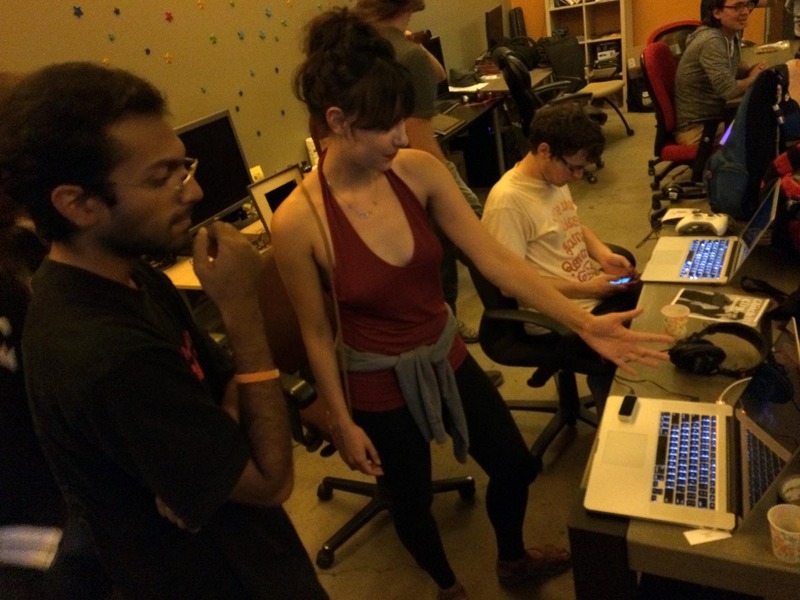 So if you’re going to IndieCade, it’s really people first, and games second. 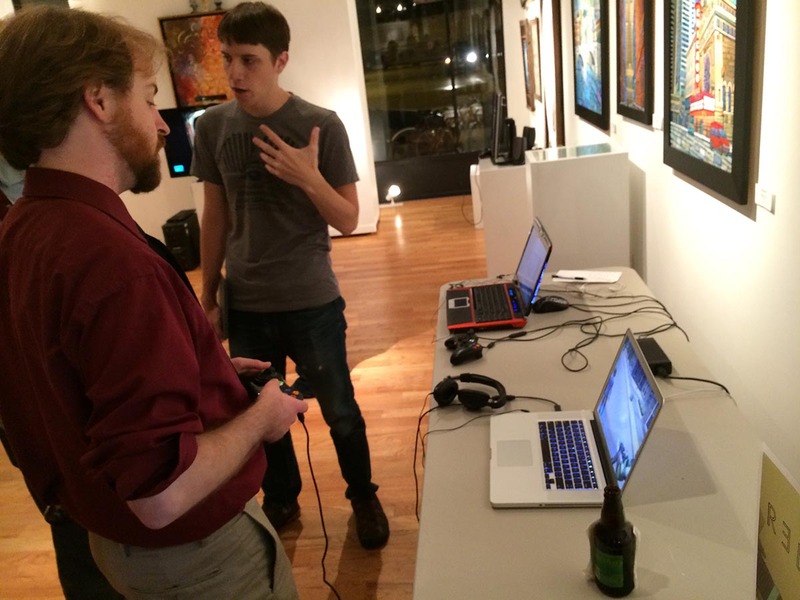 I think it’s more about building relationships with other indie developers, and just making new friends. That’s what IndieCade does best and what makes it really great. That being said, I think if you go as a developer, you should always be prepared to show people your game, or at least images of it. One issue I was trying to sort out, and which I’ve been dealing with for some time is, how can I have a minimalist art style with edge-detection, but differentiate the game from Antichamber? What I did was that I used a screenshot of my game as my phone’s lock screen, and at every opportunity, I would ask people for feedback. This worked really well, because I could immediately take my phone out of my pocket, and show people the problem I was having. I got lots of valuable feedback this way, such as the use of screen space gradient and chromatic aberration. Finally, while IndieCade is a lot of fun, and the atmosphere is on the whole very positive, I would be lying if I said I didn’t feel isolated or alienated at some points. I think this is largely due to the fact that I’m still a relatively new member of the indie game scene. 2014 is the first year I started going to game events, and this was my first time at IndieCade. But IndieCade itself has been going on for 6 years, and for some of the people attending, it’s their 3rd or 4th IndieCade. At times, it can feel like it’s a large group of really good friends that you’re just not a part of. I especially felt this way during the award ceremony on the first day. It felt like everyone there already knew each other super well, and I barely knew anyone. However, it’s important to remember that this is nothing personal. A lot of these people are great friends with one another, and for them, IndieCade is an opportunity to catch up and see old friends. It’s not being done to exclude anyone. And when you start to talk to people, you’ll soon start to make friends. The whole situation is much less intimidating than it might initially appear. Everyone there is just someone who is passionate about indie games, and are more than happy to meet new people, despite how “big” they might seem on the internet. Don’t worry if you don’t know anyone. You’ll easily make new friends, and they’ll introduce you to people, and by the end, you’ll feel like you know everyone. It was very difficult to say good bye to people at events later in the festival, because as you start to make your way to the exit, you keep getting drawn into conversations with different groups of people. 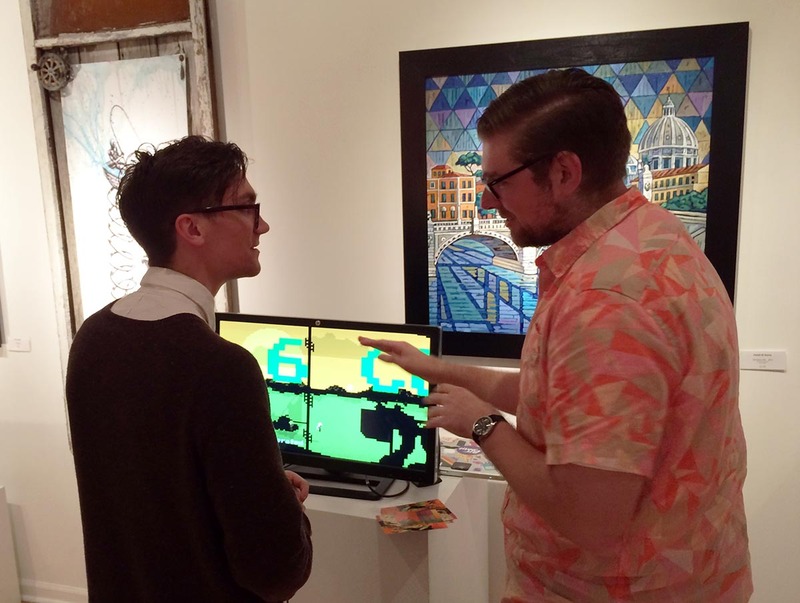 So yeah, if you get a chance to go to IndieCade, even if you’re not exhibiting a game, I highly recommend it. Make friends and enjoy the beautiful California weather! Most of the day time activities for IndieCade on the second day (Saturday) were pretty much the same as those on the first day. The main difference was that on Saturday evening, there was Night Games. 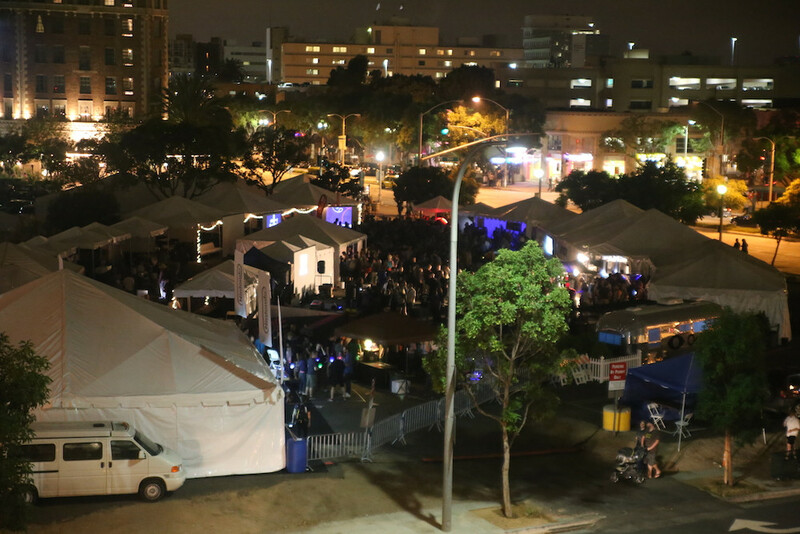 Night Games takes place in IndieCade Village, from 7 pm to 11 pm. The selection of games changes over from what it was during the day. 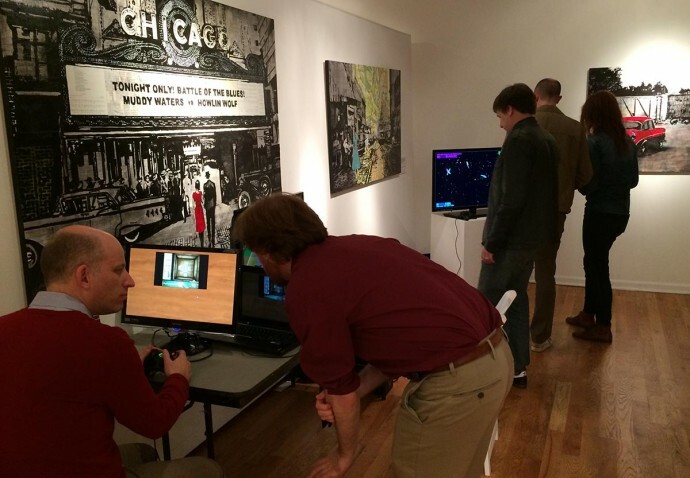 It featured more local multiplayer games, and more installation based games. There was a really cool installation piece that had an image of Sound Dodger projected on the ground. 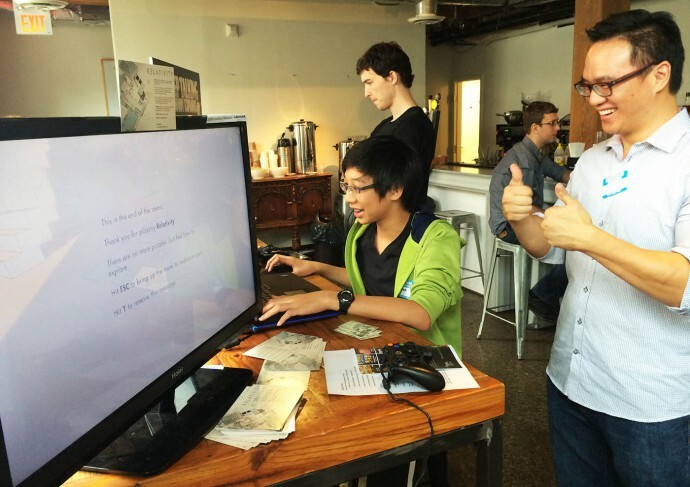 But instead of controlling the cursor with a mouse, it was controlled by calculating the midpoint of the distance between two people. It was pretty cool, but I don’t know the name of it. I also finally got to play a spontaneous round of Antimatters Matters, a quantum physics board game. 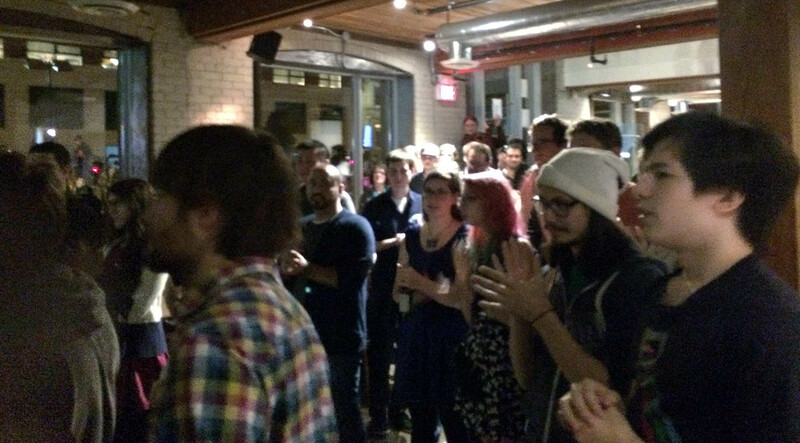 After Night Games, a bunch of people headed over to Glitch City to hang out. As to be expected, people soon started pulling out their laptops and it became another game demo session!